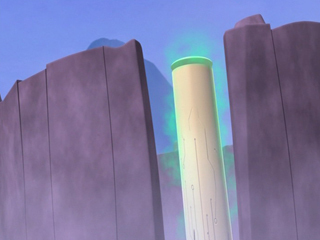 The Towers are distributed over the 4 Sectors of Lyoko, with 10 towers per Surface Sector. In episode 49 “Franz Hopper”, we discover a 41st one, in Sector 5. On the Replikas, we have no informations about the number of towers, from any episode. Yet, since the Sector contained in a Replika is an exact copy of the Lyoko model, it isn't stupid to think that an alternate world managed by XANA contains 10 towers (and one for Carthage's Replikas). Each tower looks like a giant pillar whose base looks a little bit like a trunk. They are white and are illuminated with a halo whose colour changes according to who is using them. 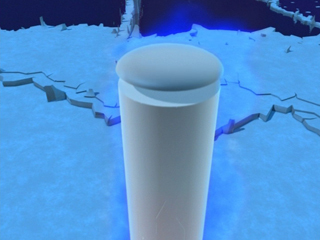 If the tower is deactivated or used by Aelita, it is blue. We mostly say in that case that it is deactivated, which is a vocabulary mistake, given that Aelita, too, can act on the terrestrial networks from the towers. She does it in episode 24 “Ghost Channel” to help Jeremy, held up by Jim and the principal. When XANA activates a tower to attack our world, it is red. When Jeremy activates a tower, it is green. When Franz Hopper activates a tower, it becomes white. 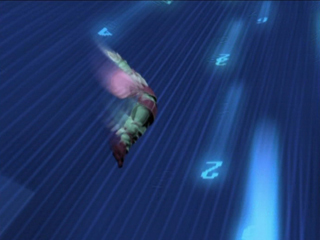 We must note that at the end of season 2, Hopper activates all the towers on Lyoko, and consequently in season 3, even when Aelita deactivates a tower, its halo becomes white again and not blue. The towers which really are deactivated are, in fact, damaged towers: they've lost any halo. Their databases are damaged and they need time to regenerate. This happens when XANA harms them, with the help of powerful shots from Megatanks. It can also happen if the Tower's power cables are broken. The inside of the towers is still the same, regardless of who uses them. One can enter through any side but won't always land on the main platform inside. Odd and Ulrich experience this and fall to the bottom of the Tower in “XANA Awakens”. In the towers, the walls are covered with lines of binary data. 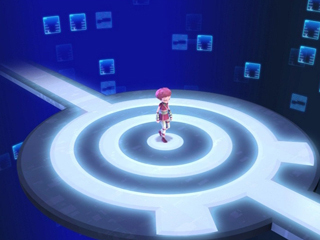 There are two platforms, featuring the eye of XANA: one at ground level, another higher. It gives access to an interface which allows anyone, on Lyoko or a Replika, to access the real world. This interface is also the heart of the tower and it's through it that the tower can change owner or that programs, like the one generating the Replikas (episode 67 “Double Take”) function. Finally, note that the towers are not always right in the middle of a deserted platform. Some of them are well hidden to the eyes of virtual beings. However, this point isn't tackled here. On each Sector's page, we indicate the particular towers which added some suspense in an episode where they appeared. So visit the Sectors pages to find this information. The towers are data banks that tirelessly search the terrestrial networks looking for information and energy. As they are linked to these networks, they can act on them and so represent, along with the scanners, the only bridge between Lyoko and Earth. The towers are used not only to create a link with Earth but also to execute computing actions that demand a lot of energy, like rematerialising Jeremy, stuck between two worlds (episode 19 “Frontier”) or also to decrypt Franz Hopper's diary (episode 51 “Revelation”)! Linked to Carthage, they send all the data collected to the latter. They can also receive energy coming from this Sector. 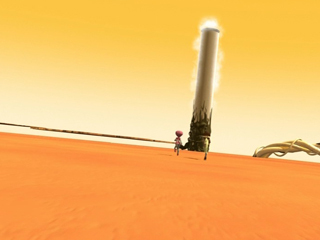 We can also suppose that the towers are connected to the centre of Carthage: the Core of Lyoko. It explains why, when a certain code is entered in the Way Towers, we can irreparably destroy a Surface Sector. 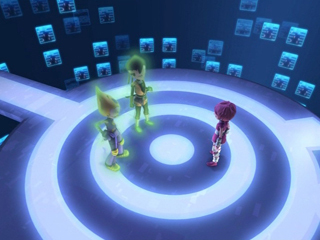 The towers of Lyoko can be classified in three groups. The archetype is the classic tower. 8 towers out of 10 on a Sector are concerned and they communicate each other. This means that, if you enter a tower and you throw yourself into the data flux, you will be directly moved to another tower. As the data fluxes are one-way, if you fall into the data flux of a tower, you won't be moved to the tower you were coming from but to another tower, and so on to the 8th tower which will get you back to the first tower you used at the beginning. The two last towers are very particular. The first and the most important one is the Way Tower. In addition to being the main tower of the Sector, this one will allow you to leave it and to reach another Sector. Clearly its data flux doesn't match with another tower of the Sector you are in but with the tower of a bordering Sector. The last tower is just the arrival tower. It means that it's the tower where you will land in the Sector if you take the Way Tower of another Sector. Before concluding this characterisation of the 10 towers of a Sector, a warning is essential. The concept of the Towers doesn't seem to be clearly defined by the writers and shows some faults. On one hand, concrete information about the Towers is little and squandered in the episodes, on the other hand, at the creation level, there seems to have some been blunders as to the representation of the towers. The information saying that the "non-Way Towers" communicate with each other between the different points of the Surface Sectors has been showed in episode 72 “Crash Course”, namely very late in the series. To give you an example, the Sectors don't always seem to have the same Way Tower. Especially the Ice Sector. When Xanafied Aelita wants to destroy the Ice Sector, she won't target the same Way Tower (episode 59 “The Secret”) as the one Aelita will finally use to destroy the Ice Sector in episode 61 “Sabotage”. This same tower from episode 61 seems to be at the same time the Way Tower and the arrival Tower of the Ice Sector. Indeed, in the prologue, when Odd and Ulrich pass (or rather tumble) through the Forest Sector Way Tower, they come out into the Ice Sector through this tower. From there, other theories can be envisaged. The Surface Sectors can have two Way Towers which can also be arrival Towers. The point which maintains that theory is that each Surface Sector is linked to two other Sectors, so having two Way Towers is, in theory, logical. However, inside the Digital World itself, the towers represent, if we can say so, the urban network. It means they occupy an important part of the communication network and traffic. The large areas of Lyoko represent both roads and footpaths at the same time, where the Lyoko Warriors walk and use their vehicles. The common towers represent the high-speed train which links the different points of a single Sector at high speed. The Way Towers, with the Transporter, are the airports which link one Sector to another. The Replikas don't have Way Towers or arrival towers, because the Sectors they contain are alone and communicate with no others. There are only normal towers. 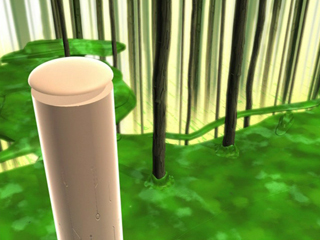 Without the towers, Lyoko would be nothing but a beautiful panorama. These very powerful towers are at the heart of the series and of the destructive conflict throughout it. As such, their control is an essential stake in nearly all the episodes of the series. The control of places passes through two points. The interface and the power cables. The interface is the core of the tower. Its brain and its heart at the same time. It is theoretically the major point where the choice of who controls the tower is made. It's where Aelita acts, and later in the series, William. The power cables link the tower to Carthage, and therefore, to the one who dominates the blue Sector. At first XANA, then it will be Hopper and Jeremy. However, in the end, we can show that the control of the tower doesn't necessarily dependant on the method of activation of the one who wants to use it, but especially on their power or permissions. So, we are going to do a chain of authority of tower users. A blank tower, innocent and naïve, has a blue halo. 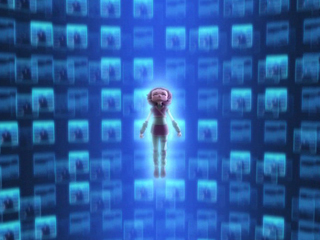 In episode 52 “The Key”, Franz Hopper activates all the towers in Lyoko to bring Aelita back to life. Since this day, the neutral towers have a white halo. This characteristic also concerns the Replika towers. Although completely in XANA's grip, the neutral towers have a white halo. It may be a trick to show us that XANA didn't reproduce the Replikas alone, but that it took the data used by Franz to create them, with the disadvantages it involves. 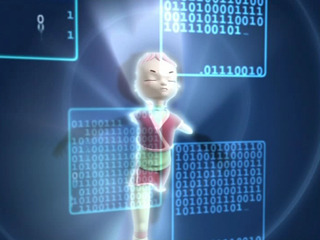 This theory also clears up the fact that Aelita can use the Code Lyoko on the Replikas. Jeremy is one of the towers' users. He comes into play later and needs to study a lot before managing to activate a tower (episode 47 “Tip-Top Shape”). However, his control over activated towers can be stolen, by XANA or by Aelita. 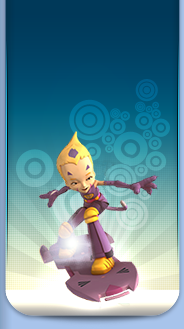 Although later, having recreated Lyoko, he has the energy of Sector 5 to defend his activations, but still remains the least powerful user. Above Jeremy, we find XANA. It's the one who uses the towers the most, given that they're the only way for XANA to communicate with Earth. It can steal their control from Jeremy, which it does 4 times in the series. The key point of XANA is that it can defend access to the towers, and therefore to their interface thanks to its monsters. On the Replikas, and only there, XANA gave William a special ability, rightfully making him the Guardian of the Replikas. He can type the Code XANA into the interfaces. Its effect is to immediately hand over control of the tower to XANA. He uses it in episode 78 “Lab Rat” to quickly take control of one of Jeremy's towers in a Forest Replika. Above XANA, we find Aelita. To tell the truth, Aelita isn't more powerful than XANA in terms of resources. 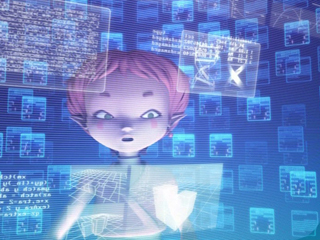 However, she has a weapon: she can be identified in the tower and type the Code Lyoko, which immediately gives her control over the tower. 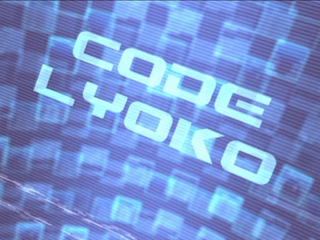 This function may have been assigned by her father and is linked to the fact that she has the Keys of Lyoko. 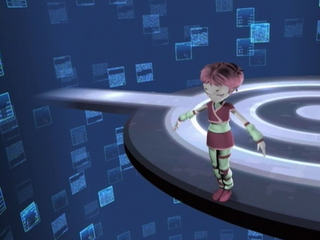 Aelita naturally remembers the Code Lyoko in the Prequel “XANA Awakens”, while she was amnesic. Finally, the Big Boss is: Franz Hopper. Even if he does it very rarely, Franz Hopper can activate towers and prevails over everybody, much to XANA's annoyance. He proves it in episode 51 “Revelation”. However, the life of the scientist relies on his energy and activating a tower needs an enormous amount of energy. That explains why the genius' interventions are only kept for special occasions. Let's make a comparison: when a little boy has his ball stolen by someone taller and stronger than him, he will only react by puncturing the ball so that no-one can enjoy it. This page will be full of lame metaphors, however it is nearly the same concept: XANA will use Megatanks to damage the tower until its databases are severely hit and the link with Earth is broken, shown by disappearance of the halo. 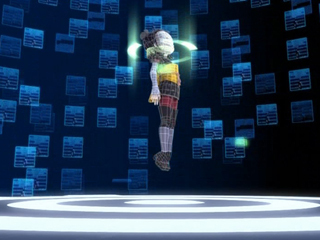 XANA uses this method in episode 50 “Contact”, as well as in episode 25 “Code: Earth” in order to make a Way Tower unavailable, preventing Jeremy from materialising Aelita. The deactivation and stopping of a XANA attack on Earth. Programs. 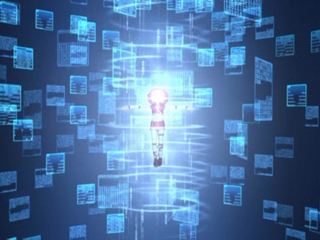 All of them used to resolve various computer bugs of the complex world of Lyoko (episode 42 “A Fine Mess”; episode 19 “Frontier”; episode 60 “Temporary Insanity” and more). The procedures allowing the heroes to fight against XANA on equal terms (Jeremification (episode 47 “Tip-Top Shape”) or Teleportation). Information. Indeed, XANA leaves traces in the towers it infects. 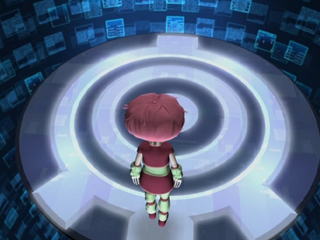 In the Replika tower activated for William's Teleportation, Aelita recovers the data that allow the XANA Warrior to become his normal self again. So, it's around them that the conflict on the Virtual World revolves. 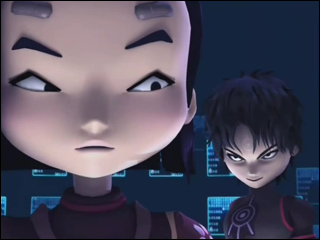 In episode 54 “Lyoko Minus One”, the heroes discover with horror that Aelita can type a code other than the Code Lyoko: the Code XANA! Inserted in a Surface Sector Way Tower, it launches the simple, irreversible and immediate destruction of the Sector! 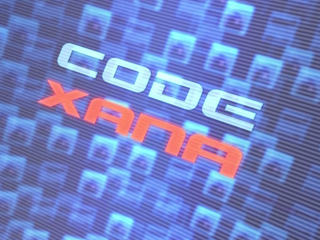 During the conflict for the destruction of Lyoko from episode 53 “Straight to Heart” to episode 65 “Final Round”, the towers have a new dominant interest for XANA. Let's finally remark that the towers are protected spaces. XANA only has limited access to them and its monsters can't penetrate them. So it is a place of strategic withdrawal, especially for Aelita who, before being rematerialised on Earth, was condemned to wander on Lyoko. In the towers, not only she was safe, but moreover, her life points regenerate. That's why, even if XANA dominated the field, with the innovation of Tarantulas for example, the heroes could be victorious, if they see to it that Aelita reaches the tower in time. The safety of the towers has however decreased, as soon as William went to XANA's side. He is the only one of the AI's henchmen to be able to penetrate a tower, like he showed us in episode 76 “The Lake”. Nevertheless, this remains limited: his sword can't cross through the walls of the tower (episode 86 “Canine Conundrum”), unlike Yumi's fans. This second box is less complete than the first one and very basic because the Places section doesn't aim to recount the story and the conflicts of the virtual war, but to quickly show the battlefields and their stakes. For more information, consult the History section, possibly, and especially the XANA section, which points out a lot about the XANA's use of the towers and their stakes in the heroes' conflict against the Artificial Intelligence (including their defence, the heroes' offensives and more). You just have to lean on the wall to enter the tower! Then, you have to walk to the centre of the platform. Only Aelita will be able to fly upwards and land on the digital platform. There, the tower interface appears before her. She can connect to Lyoko and to Earth. She can also type in a code, but which one? Let yourself fall, you will be transported through a data tunnel into a tower in another Sector! Make your insane friends sane again!